Adult length: up to 400 mm. 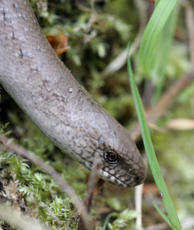 Though it looks like a snake, the Slow Worm is in fact a legless lizard and one of just 6 native reptiles in Britain. 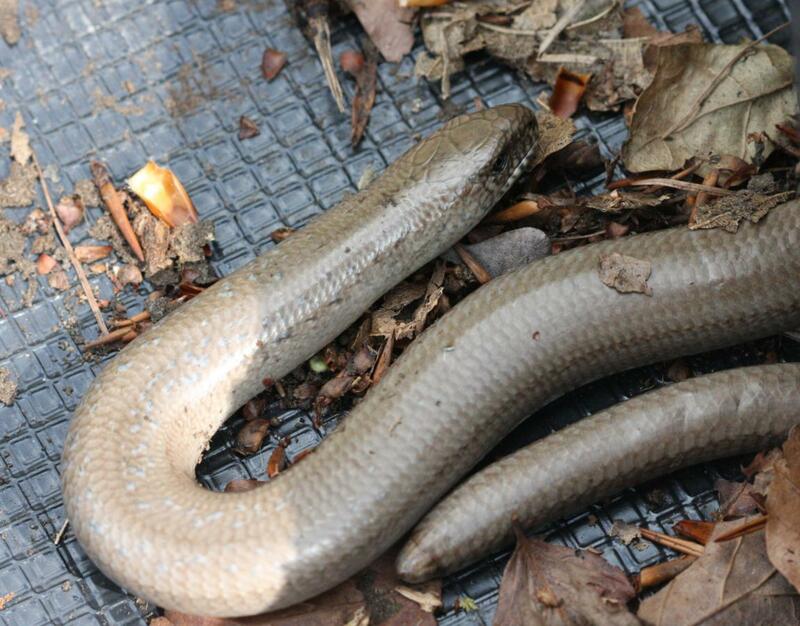 It has eyelids, which no snake has. 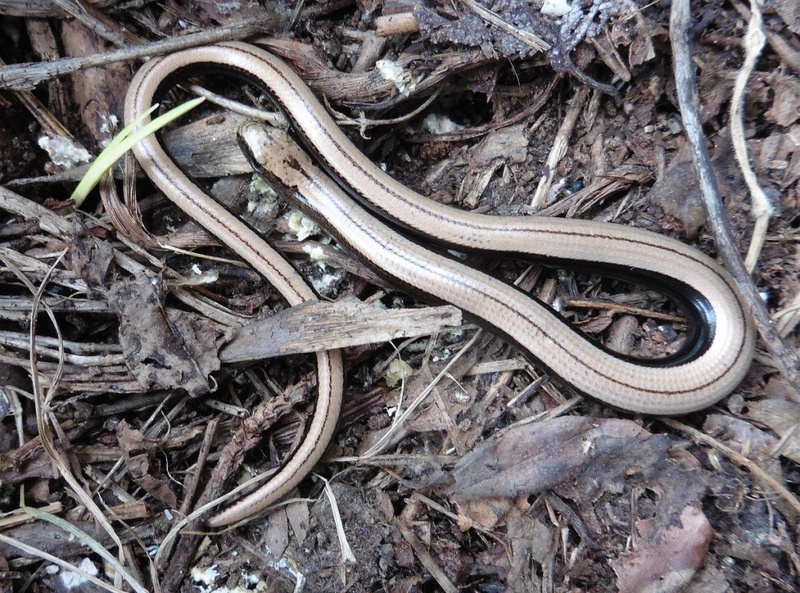 Females are brown or copper coloured on the back, with brown or black sides, often with lighter iridescent flecks, and sometimes with a dark stripe passing along the middle of the back. Males vary in colour, they may be greyish, brown, coppery or reddish-brown, and typically do not have stripes; furthermore, they have broader and longer heads. 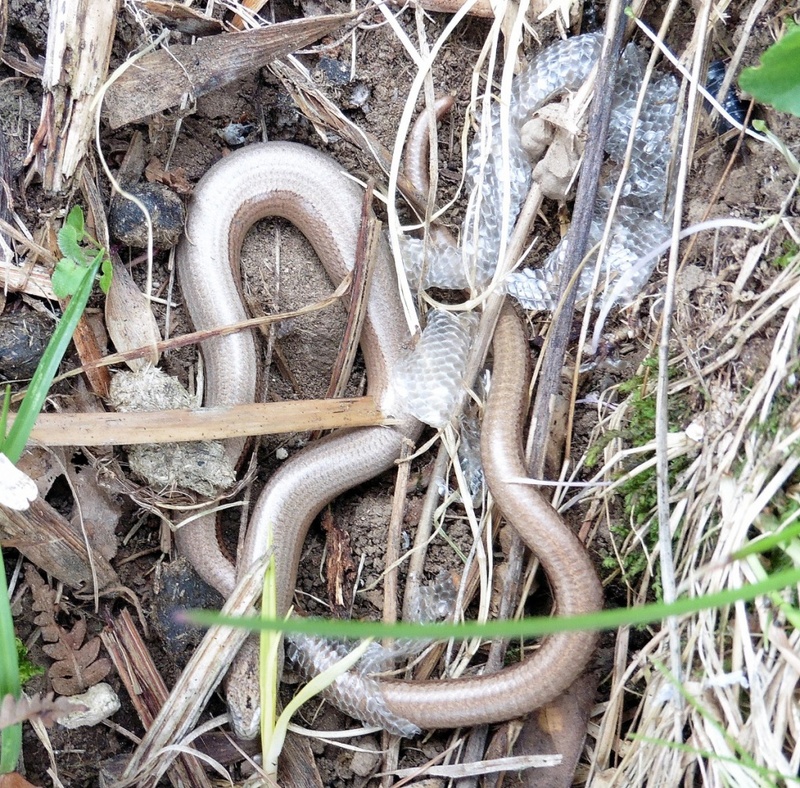 The Slow Worm is found in a wide range of open habitats, it tends to take refuge under stones, planks of wood or sheets of corrugated iron in the sun, rather than basking. They are commonly found in gardens and compost heaps, where food is plentiful and the rotting plant material creates warm conditions. They are thought to be the most common reptile in Europe but are not seen that often as they do not usually bask in the open but prefer to hide under rocks and logs. 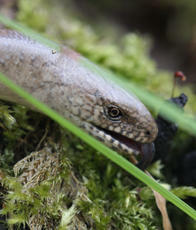 They emerge at dusk and after rain to feed on slugs, worms and other slow moving prey. They hibernate from November to March. Anguis fragilis means 'fragile snake' and refers to the ability of this lizard to shed its tail when seized. Common and widespread throughout Britain. Uncommon in Leicestershire and Rutland, mainly in Charnwood Forest with a few scattered records elsewhere.